Tight neck muscles feel uncomfortably tense and often precipitate injury and pain. Chronic tightness in the neck is a very common patient complaint which may be linked to anatomical or psychosomatic conditions. Regardless of the underlying source of enduring muscular tension, the experience is always disconcerting and is often a harbinger of worse symptoms to come. Anyone can feel tightness in the neck muscles occasionally. These tissues work constantly in order to support the head and facilitate an exhaustive range of movement. Therefore, neck muscles are subject to strain and injury, just like any other anatomical structures. However, long-term tightness in the neck is rarely caused by structural issues, although this is not an absolute rule. Many chronic cases of muscular tightness exist due to the interactions between the emotions and the body. This in-depth essay examines neck muscle tension from a unique and detailed viewpoint. We will examine the many possible origins of neck tightness and how the conditions might be treated in each specific causative circumstance. Muscular strain can create pain and limit the range of motion in specific sets of neck muscles, tendons and ligaments. Soft tissue strains are the most common minor neck injuries that occur and can result from virtually any stresses imposed on the region. Common causes of neck strain include overwork, over-loading, mild hyperflexion, mild hyperextension and prolonged periods of poor posture. Common and effective therapies for muscular strain include massage, OTC pain relievers, muscle relaxants, hydrotherapy, exercise therapy, stretching and chiropractic. Facet syndrome can minimize movement in the zygapophysial joints. While this diagnosis is not a muscular condition, it can still create a tight feeling due to the limited ROM of the cervical vertebral bones. Common treatments include chiropractic and osteopathic manipulation, facet injections and pharmaceutical interventions. General cervical spinal osteoarthritis can also cause a similar feeling to facet syndrome, reducing spinal mobility and creating the perception of muscular tightness. Once again, treatment mirrors facet syndrome, with spinal manipulation, exercise, drugs and injections being the most often utilized care methods. Hypolordosis and hyperlordosis can create, or result from, extreme muscular tensioning. Abnormal front-to-back spinal curvatures can be the direct cause of chronic muscle spasms or might be the underlying source of persistent tightness. Treatment for lordotic irregularity varies greatly, depending on whether the condition involves primary or secondary changes in spinal curvature. Some neuromuscular diseases can cause long lasting muscular tension in the neck. These diagnoses must be considered and treated on a case-specific basis for best results in reducing actual or perceived tightness in the cervical anatomy. Neck muscle tightness is one of the most common expressions of internalized emotional turmoil. This type of symptom can come about from conscious or subconscious emotional instigators. Some people are well aware that they have conscious stresses on their mind and are understandably tight and tense. These people might be worried or anxious about work, family, the future or anything at all. In many cases, these patients are always putting pressure on themselves and are driven to succeed in all their aspirations from mostly internal motivations. Worse than conscious stresses are the subconscious psychoemotional issues that affect every human being on this planet. We are largely governed mentally, emotionally and physically by the psychological activity that occurs beneath the conscious surface. Suppressed, repressed and hidden memories, emotions, feelings and thoughts are continuously striving for consciousness and are being actively held down below the conscious line of demarcation through various mechanisms, including the generation of anatomical discomfort. In fact, a great number of health epidemics, including back pain, carpal tunnel syndrome, fibromyalgia and many other conditions have been created mostly to serve this particular objective of focusing the mind’s eye on the body so as to avoid it discovering our locked-away emotional issues. Chronic neck muscle tension is often consciously experienced, and linked to emotional concerns, but in some cases, may be completely overlooked as being created by psychological processes, rather than purely anatomical ones. This explains why so many treatments are actually unnecessary and ineffective. Therapy focuses on addressing incidental structural abnormalities when the true causative process resides exclusively in the mind. The best path towards treating mindbody tightness in the neck, or anywhere, is by using targeted alternative psychoemotional modalities, such as knowledge therapy, or by utilizing proactive active-participation lifestyle programs, such as pain coaching. Ensuring proper posture will help to mitigate risks for developing recurrent or chronic strain. Remember, good posture must be considered in every possible position, including standing, sitting and even reclining. Keeping strenuous workloads within anatomical limits will help to reduce the risk of minor neck injuries, like acute strains and sprains. 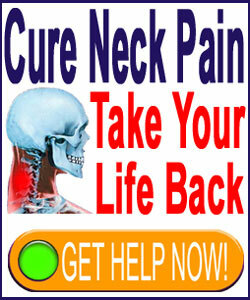 Do not attempt more than you are capable of completing in terms of duration worked or stress-load placed on the neck. Be aware of any structural issues which might exist in your cervical spine and use the knowledge of these irregularities to guide your activity level and participation in order to promote good health and reduce the likelihood of trauma. Most importantly, be mindful of emotions and learn how the mind can and does influence the body so that proactive measures can be taken to minimize the risk of suffering a mindbody pain syndrome.